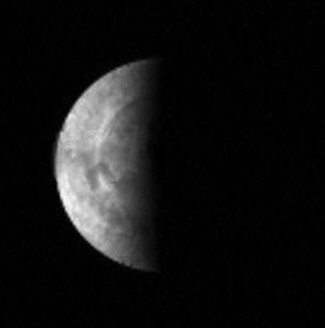 After successfully entering orbit around Venus on 11 April, Europe’s Venus Express probe has sent back its 1st pictures of the planet, revealing the 1st-ever views of Venus’ south pole. 12 April, Venus Express sent back these breathtaking pictures—the 1st-ever views of the planet’s south pole. The images, taken at more than 200,000 km from Venus, are unexpectedly detailed. These views of the planet’s southern hemisphere highlight a dark polar vortex that is intriguing scientists. The Virtis imaging spectrometer supplied by CNES has already acquired pictures of nightfall on Venus. This image clearly shows the spiral cloud structures over the planet. The darker regions correspond to thicker cloud cover, while the brighter regions correspond to thinner clouds.